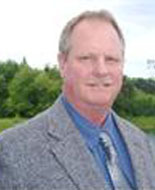 Ask for Bob Buist... West Michigan Realtor serving all of West Michigan. Robert Buist (Bob) is a life long resident of West Michigan. As a licensed Real Estate consultant he is very proactive in assisting his clients fulfill their West Michigan housing dreams. Ask for Bob Buist when you are looking to buy or sell real estate anywhere in the West Michigan lakeshore area, including waterfront properties on Lake Michigan, Lake Michigan homes for sale, Waterfront and luxury homes for sale and all types of Lake Michigan properties for sale. Robert Buist (Bob) and Carini & Associates, Realtors in Holland Michigan specializes in selling waterfront and lake front homes and land. Are you looking for a vacation house or resort property as a second home? A house on one of our beautiful area lakes or on the beach along the Lake Michigan shore? All are good reasons to start your search for own waterfront home. Robert Buist (Bob) and Carini & Associates Realtors offers Exclusive Buyer Representation throughout West Michigan, which means we work only for you, the Buyer, paying close attention to details that could affect your waterfront real estate buying decision, and negotiating the best possible price while protecting your interests throughout the entire process. So, if you're looking for West Michigan waterfront homes for sale in Holland Michigan, West Michigan waterfront areas including: Grand Haven Michigan waterfront properties, luxury real estate in South Haven Michigan, Saugatuck Michigan Real Estate or Spring Lake Michigan real estate, your real estate search is over! Call today at 1-800-411-6683 for the latest information on the newest listings and... ask for Bob! Robert Buist (Bob) and Carini & Associates Realtors work "By Referral Only" so they can make a 100 percent commitment to making sure your priorities are met and to provide you with long-term world-class service. Robert Buist and Carini & Associates Realtors are dedicated to building strong, lasting, lifelong relationships in the Lake Michigan region, one person at a time. Step into your new and exciting real estate venture with personal, trusted consultant Robert Buist (Bob) at Carini & Associates Realtors.